Interested in membership?-Let’s talk about your flair! On 25 September 2018, Joe DiMisa (SAME Kittyhawk Post President Elect and Membership Chair) and other key SAME leaders hosted a lunch for 19 AFIT GEM students. All enjoyed a delicious Chick-Fil-A lunch while listening to a lively and spirited presentation on the benefits of belonging to SAME and the Kittyhawk Post. The lunch culminated in a drawing for a free registration at an upcoming SAME lunch. 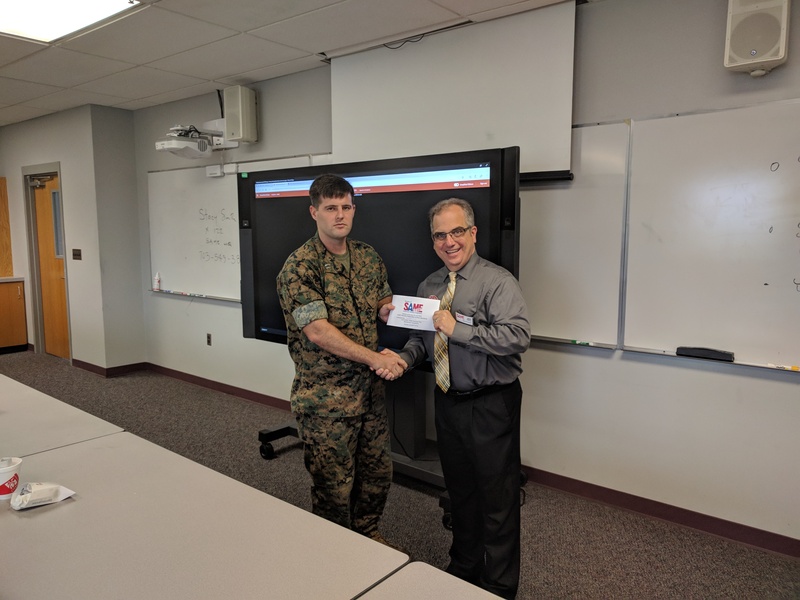 Capt Robert Truver, USMC was our awesome winner (Hoo-Rah!). 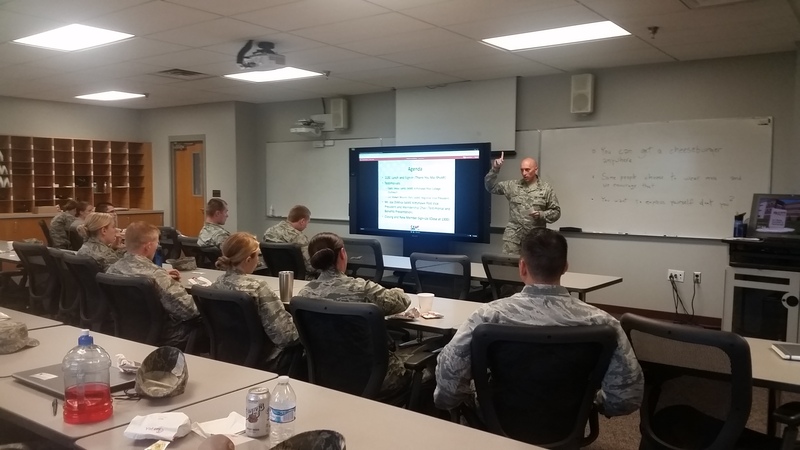 Other key participants in the presentation were Capt Jesse Lantz, Col Shawn Moore (Ret), Maj Steven Schuldt, and Mr. Buddy Stanford. Thanks to all for a sweet tea good time! 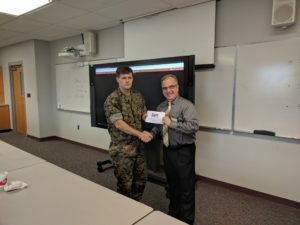 SAME Kittyhawk Post Membership Chair Joe DiMisa shows off his “flair” and presents a free future SAME luncheon registration to AFIT GEM student Capt Robert Truver. Capt Jesse Lantz tells the students the sky is the limit for how SAME can help your career. 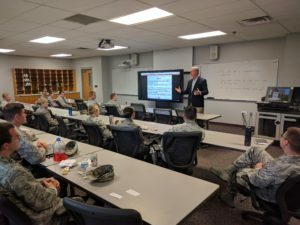 Recently retired Col Shawn Moore advises the students on how SAME has helped his career both in and out of uniform.